Lobed star coral. Photo credit: Flower Garden Banks/NOAA. The Gulf of Mexico is home to more than 750 estuaries and bays, whose marshes and sea grasses provide nurseries for fish, shrimp, sea turtles and manatees, and food for wintering waterfowl . The Gulf also contains an enormous variety of corals, including the Florida Keys - an extensive shallow reef system- and spectacular unique deep water reefs that run from Florida to Texas. The South Texas Banks: Also known by local fishermen as the snapper banks, they range from 12 to 45 miles off the coast of Corpus Christi, Texas at depths from 190 to 270 feet, including Southern Bank, Hospital Bank, and Mysterious Bank. 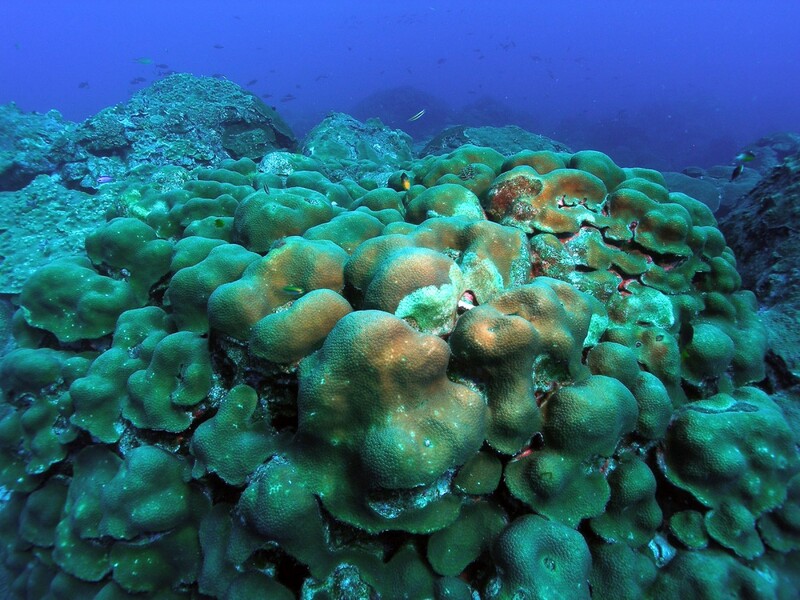 These reefs support a wide variety of fish. Sadly, all of these habitats are at risk. The intentional discharges of untreated sewage, chemicals, oil and dispersants, discarded fishing gear, garbage and other pollutants threaten these critical underwater environments. Dredging to maintain channels for the transport of goods or access to oil and gas deposits also destroys marshes and seagrasses, and degrades water quality in the Gulf... Additionally, the use of the Gulf as a highway for ship traffic results in habitat destruction from pollution, ship groundings, and anchor damage.. 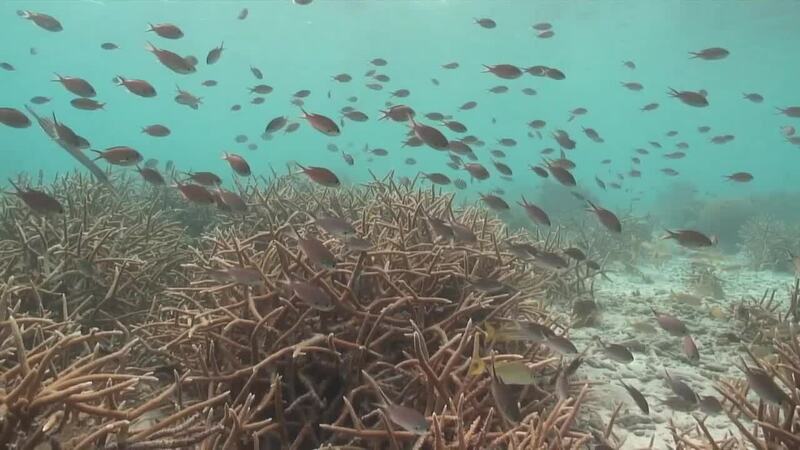 Advocating for protection of the Gulf’s shallow and deep water corals. Ensuring that these habitats remain healthy over the long-term is critical to the Gulf’s marine species and the cultures and economies of our coastal communities that depend on them. 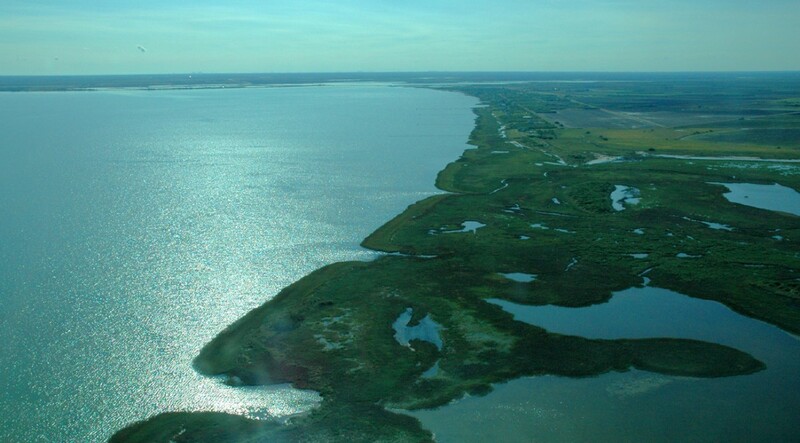 Texas Mission-Aransas National Estuarine Research Reserve. Photo credit: NOAA.